As we enter the warm and fun part of 2012, its time to bring out the party hats because the world’s ready to take things to the next level. Dance, culture, music and more is waiting for you as the summer season throws up a new range of exciting options for all. Outshine the sizzling sun as the world gears up for a whole new list of parties in destinations that have rocked us since the beginning of time. From deserts to beaches and from nightclubs to mountains, the world becomes your oyster as this wonderful season comes in with the coolest parties to beat that summer heat. When it comes to partying, the world’s biggest street-party is the place to be. 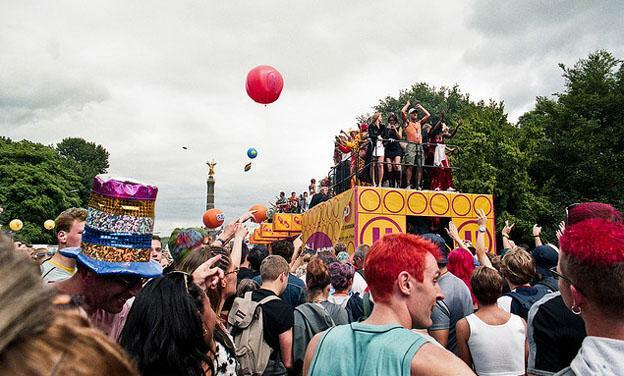 Berlin is host to one of the most awaited summer party events of the year and when the Love Parade hits town, you know that everyone’s going to be there. July 15th is, forever, marked as the day that Berlin hosts the world and if you think that this wonderful city’s nightlife and underground clubs are amazing, you haven’t seen the Love Parade yet. As summer comes to a close in Nevada’s Black Rock Desert, its time to take things to the next level! 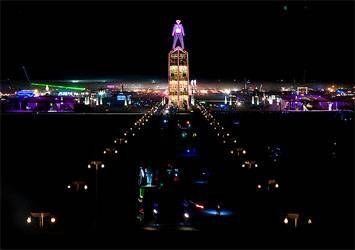 A 40-foot wooden effigy of a man, known quite eloquently as “The Man”, is set ablaze in the still of the desert night, with people partying all around this magnificent burning monument of, well, nothing in particular. Nobody really knows how and why it started but all they can tell is that if you are in search for a party like no other, then on the weekend leading up to Labor Day, and the Labor Day weekend as well, you need to be in the Black Rock Desert. The “Windy City” may not really be an apt name for the city of Chicago but then, if you are in the city to discuss the weather then you’re there for all the wrong reasons. Summer is a time when the entire city gets together to create a massive party. Whether you are looking to visit specially organized events or simply look for some night-time party action, you are in the right place. The Taste of Chicago, the Theater on the Lake, the Ravinia Festival and the Magnificent Mile Arts Festival, all are fantastic events that combine different art forms to give you an opportunity to party in a different way. If, however, you are looking to hit the dance floor, there are over 10,000 establishments that can give you a taste of good booze, great food and heavenly music! 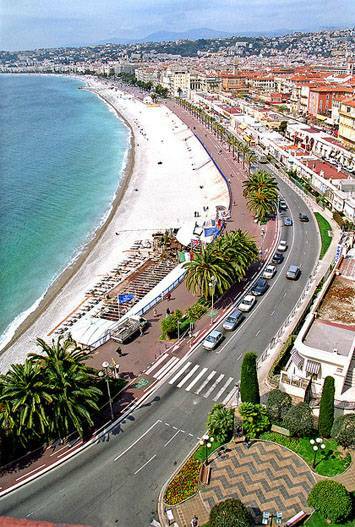 Cote d’Azur is one of the most happening and stunning locations to spend your summer partying. Running all the way along the coast of the Mediterranean Sea, the cities of Monte Carlo, Nice, Cannes and St. Tropez get together to bring you a combination of breathtaking beaches, flamboyant casinos, brilliant restaurants and sizzling nightclubs! If you are looking for something that can give you an all-round fantastic experience, then a visit to Cote d’Azur will leave you breathless, but asking for more. When you think of party destinations for the summer, Croatia is hardly the place that comes to mind. However, a short trip from Dubrovnik brings you to the island of Hvar, a little spot of land that can give Ibiza a run for its money. When you combine the world’s best beaches with some of the most incredible bars and a glamorous crowd, you get one of the most spectacular ways to spend the summer months. How can we leave this fantastic location out of a list for the best summer party destinations in the world? A-list DJs and world class clubs form the heart of this fantastic Island termed as the “Entertainment Island of the World”. The crowd on this beautiful island is unbelievable while the beauty of this place is a combination of natural splendor and man-made debauchery. How can you miss out on that? A meeting with Ruben leaves you wondering how crazy can a man be about the “good time”. Absolutely intent on seeing as much of the world as he can, this financial consultant works like a donkey, for 10 months in a year, and takes off in the summer to see some of the best party spots on the planet. From living in New York hotel penthouses to taking cheap flights to Australia’s wildest countryside, Ruben has been there and done it all. Berlin has among the best nightlife in Europe. It’s a very cool and vibrant city. Chicago has lots of diversity, culture and history. Lots of great places to party in this world.